Sh. 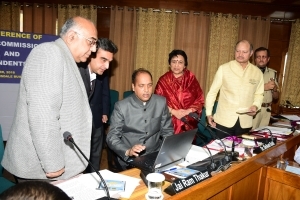 Jai Ram Thakur. Hon’ble Chief Minister, Himachal Pradesh, launched the HP Circle Rates, Android Mobile App at Shimla on 17-Sep-2018 in the DC-SP Conference. Sh. Vineet Chawdhry, Chief Secretary, Dr. Shrikant Baldi, ACS to HCM, Smt. Manisha Nanda, Additional Chief Secretary Revenue, Sh. Deva Singh Negi, Director Land Records and IGR, all Administrative Secretaries, HoDs, DCs and SPs were present on the occasion. Hon’ble Chief Minister expressed hope that the mobile app will be useful to the buyers and sellers of property in the State and help them in estimation of the Stamp duty and Registration Fee. 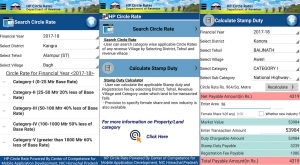 HP Circle Rates Mobile App is linked to the Circle Rates MIS, a web based applications using which all district collectorates notify the circle rates of all Revenue Villages, based on different approved criteria at the start of every financial year. These rates are applicable for transactions related to sale and purchase of land in the State. The mobile app provides the rates and also includes a calculator to show the stamp duty and registration fee based on the Revenue Village, Land Category/Sub-Category and Area of land. The integrated BhuNaksha and eHimBhoomi for 5 districts was also launched in the conference. 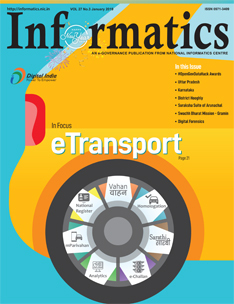 This Mobile App has been developed by the NIC Competency Centre for Mobile Apps, Shimla. Sh. Ajay Singh Chahal, SIO NIC HP, Sh. 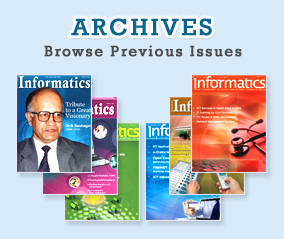 Lalit Kapoor, ASIO, Sh. Sandeep Sood, TD and Project Head, Sh. Ashish Sharma, Scientist-B, Sh. Parveen Sharma, Scientist-B, Sh. Prithvi Raj Negi, Scientific Officer were present from NIC.